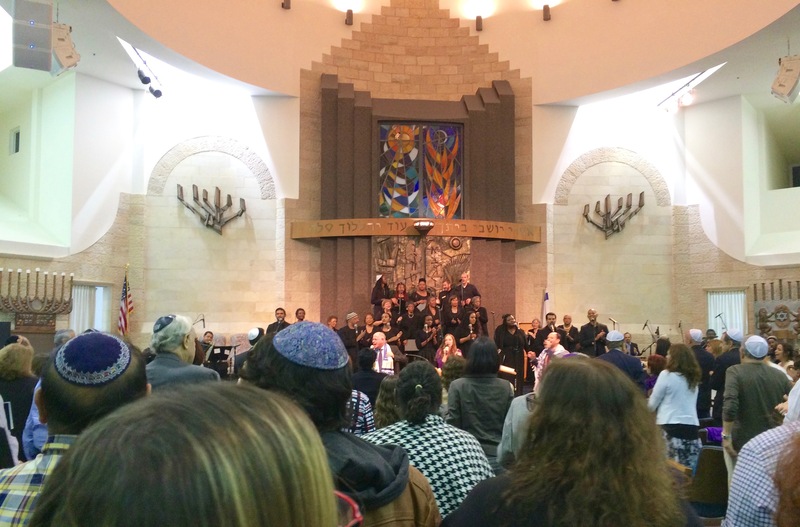 As they clapped and swayed and soared on stage, the synagogue's hyperventilating cantor led the prayers: running up-and-down the aisles, belting out a sizzling smorgasbord of Judeao-Christian greatest hits, bent over backwards, in a swirling prayer shawl. The ecstatic rabbi (a dead-ringer for a Latino Bernie Sanders) was over the moon. I think I can speak for the sky-high congregation when I say: we sing the same song. Music rocks the soul. Spirits unite. It was healing, on that terrible day, my agnosticism eclipsed. Then, the rabbi grabbed the mic and sermonized about the joy of bringing people of different religions and cultures together and the vital importance of building bridges to peace, and I was feeling it, really feeling it, until - he brought up Israel and pledged the congregation's undying support. I'm not sure it extended to governmental policies towards the Palestinian people, or not, but, all too often it does. I thought of my Palestinian friends, and my heart sank. I have Israeli friends, too. What's mine is yours, what's yours is mine. Last weekend's anti-human, Muslim ban in the USA and the ensuing massacre of six Muslim men by a white-nationalist in Quebec underlines that every effort of the toxic American administration to divide and conquer is a monumental call to bring us together to overcome it. The history of the refugee and the fascist, the song of the slave and the master and the struggle for peace and love are the stories of our world. For more of Brenda's throbbing heart, visit her blog Burns the Fire and follow her on Facebook, Instagram and Twitter.